Always Dynamic. Always Practical. Always Actionable. 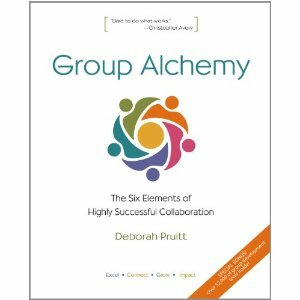 Believing that every group is capable of greatness, Deborah Pruitt delivers practical and profound strategies for converting the untapped capabilities in any group into dramatic results. She inspires and guides leaders and groups in creating a strong culture of collaboration proven to establish more productive and enriching ways of working together. Clients praise Dr. Pruitt’s distinctive combination of intellect, warmth and vision as well as her knack for translating cutting edge research into practical steps for breakthroughs in accomplishments. Her inspiring, lively, and information-packed presentations create a shift in perspective on group effectiveness and practical strategies for expanding what is possible. 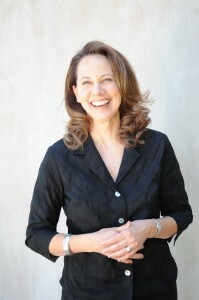 Deborah’s background in anthropology and her experience across a wide array of groups and organizations combine to provide a rich cross-cultural perspective in her consulting and teaching on the alchemy of groups. View an example of Deborah speaking on the Power of Agreements to transform what your group is capable of achieving. All talks and workshops are customized to suit your particular needs. 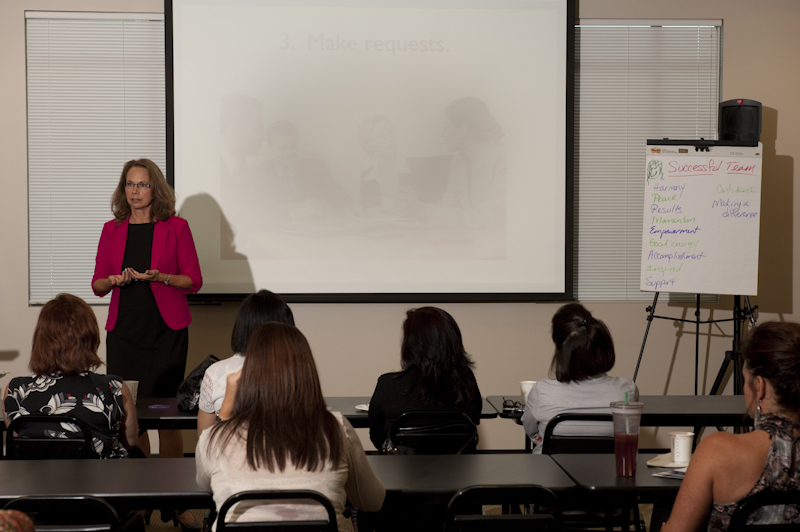 Deborah will also create a custom presentation upon request. Go to our contact page to book Deborah to speak at your event. When you engage Deborah Pruitt to speak, present, or train at your conference, seminar, or event, we make it easy to promote! To put together your flyers, handouts, pamphlets, and ads, we have assembled the most commonly-asked-for resources. If we can be of further assistance, just email us. Please contact us for a photo to suit your needs. For Word documents of the presentation descriptions right-click (PC) or control-click (Mac), download to your computer and copy-paste. 4. Speaker Biography: Deborah Pruitt, Ph.D. "Practical!! Useable! Tools for collective impact." "Anyone that is passionate about their mission in life needs to connect with Deborah! During her presentation, I had an "aha" moment that is already making a difference in our group." "I've been to a lot of positive leadership trainings during my years as a small business owner. I've never been to one as good as this one. The ideas are so simple, so clear - and useful." "Dr. Pruitt made me feel empowered to change my work environment to produce results."